The music streaming service is reported to launch with support for music in five local languages on launch and then expand later. Spotify may launch in India on January 31. The company is said to be hosting a launch party on Jan 31. It is said to launch with support for music in five languages and expand later on. 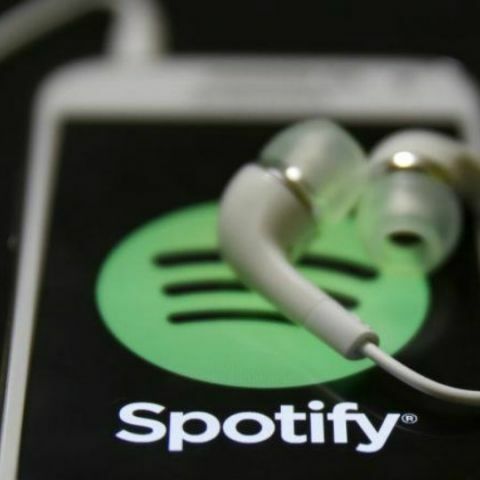 Spotify is one of the most popular music streaming services overseas and there have been plenty of reports that it will soon be entering India. Now, Variety reports, citing sources, that the company could launch its services in the country by the end of this month. As per the report, Spotify is speculated to host a launch party in Mumbai, where its office is, where it might announce the availability of its services in India. Additionally, Spotify has reportedly entered into a deal with T-Series but has not accomplished the same yet with other bigger players like Sony, Universal and Warner. Nonetheless, the company might go ahead with its reported plans to commence its services in India by January 31. If the report of Spotify securing a deal with T-series is true, the music streaming service would not have many problems in catering to users with mainstream Hindi and Bollywood music. However, it will still need to secure deals with other labels for regional music like Marathi, Punjabi, Tamil, Telugu, Malayalam and more. Spotify is said to support music in five languages at launch and is expected to expand its regional offerings later. If the launch is happening by the end of this month, Spotify is probably working hard to secure deals from labels that specialise in providing local music. A previous report suggested that Spotify may finally launch in India in the next six months and might offer an extended free trial period, maybe for more than 30 days. Only time will tell, or an official announcement by the company, if the launch is being hastened or not. The free trial that users might initially get was reported to give them complete access to Spotify Premium, which the Swedish streaming giant offered in Vietnam and South Africa when it launched earlier this year. It was speculated that the cause of delay in Spotify’s launch pertains to the length of the free trial period but Variety says that royalty bein that Spotify initially offered for the free-trial period. It is said that the royalty was considerably lower than what the competitors. Spotify recently entered many international markets like North Africa and the Middle East, expanding its services to 78 markets globally. Spotify’s India plans have been years in the making and it hinted towards an impending launch with opening an office in Mumbai and hiring 300 people in March after it was publicly listed. Even if the music streaming service finally launches in India, it will face tough competition from the likes of Gaana, JioSaavn (previously JioMusic and Saavn), Amazon Prime Music, Apple Music, Google Play Music and others. Gaana has over 80 million subscribers and the company raised $115 million in funding from Chinese giant Tencent and Bennett Coleman’s Times Internet, while Saavn merged with JioMusic in a $104 million deal. There are other music services too like Airtel Wynk, Hungama, and more. Spotify would have probably launched earlier in India, were it not for the company’s plans to bypass the record labels and license acts directly. The move reportedly made major music labels in India threaten to spoil Spotify's progress in the region by blocking its licenses. Although, the report states multiple sources claim the hurdle has been cleared with Daniel Ek downplaying the rumours during Spotify’s earnings call in July.